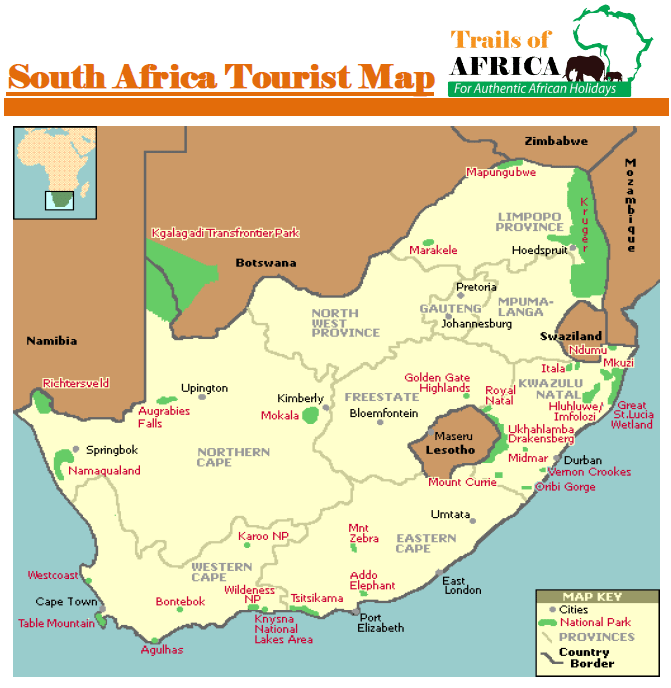 You leave Johannesburg or Pretoria in an air-conditioned mini bus with our experienced Kruger Park guide and travel east across the Highveld farmlands, making your way towards the Kruger National Park. Arriving at Sabie River Bush Lodge you are checked into your rooms. After you have had time to freshen up and have a light lunch you head out on an afternoon safari drive. Arriving back at the Lodge after dark, you can enjoy a drink on the deck before sitting down to a well prepared dinner. An early morning start will see you go on an exciting full day safari drive in the Kruger Park, looking for wildlife animals such as Lion, Leopard, Rhino, elephant, giraffe, zebra, hippo and many other species. You will quickly learn how to spot the animals in the bush and your guide will make sure that you have easy access for photos or videos on all the game drives. Breakfast will be at a picnic area situated inside the Kruger National Park. The rest of the day will be spent on a wildlife safari drive. Arriving back at the Lodge after dark, you can enjoy a drink on the deck before sitting down to a well prepared dinner. Today we depart as the sun is rising over the Sabie River and head out in the open safari vehicle for a full day safari drive in the Kruger National Park. We stop at a picnic spot or camp for breakfast. The adventure continues after breakfast as we meander through the Park for a few more hours before stopping at either a Rest Camp or picnic area for lunch. Lunch stops are normally about an hour long and you will have the option to buy sandwiches, hamburgers, chips, cold drinks, salads and snacks. Lunches are for your own account, and we recommend an average of R100 per person should be allocated for lunches. After lunch we start making our way back to the lodge, arriving back at sunset or after dark depending upon the season. This is a great time to have a swim or relax before freshening up for dinner. Dinner will either be served in the dining room overlooking the Sabie River. Sadly all good things come to an end, and today we bid you farewell as you depart back to Johannesburg. After breakfast at the lodge we will make our way to the Elephant Sanctuary for a interaction tour. After the tour we depart on our journey back to Johannesburg. We arrive back at the OR Tambo Airport or the Hotel where you will be staying at in Johannesburg at approximately 5:00 – 6:00 pm where you’re Safari Tour ends. • Meals not listed on itinerary – Lunch, we recommend a budget of R80.00 per person per meal. • Departures from Johannesburg are normally between 7:00 – 9:00am. • Departures outside of those times are by pre arrangement only. • Please advise us if you have excess baggage.